I was counting up the other day and I worked out that I have 10 tattoos dotted around my body. Everyone chooses an tattoo for one reason or another whether it be purely on impulse, something that means to them or just because they have found a decision that they love. 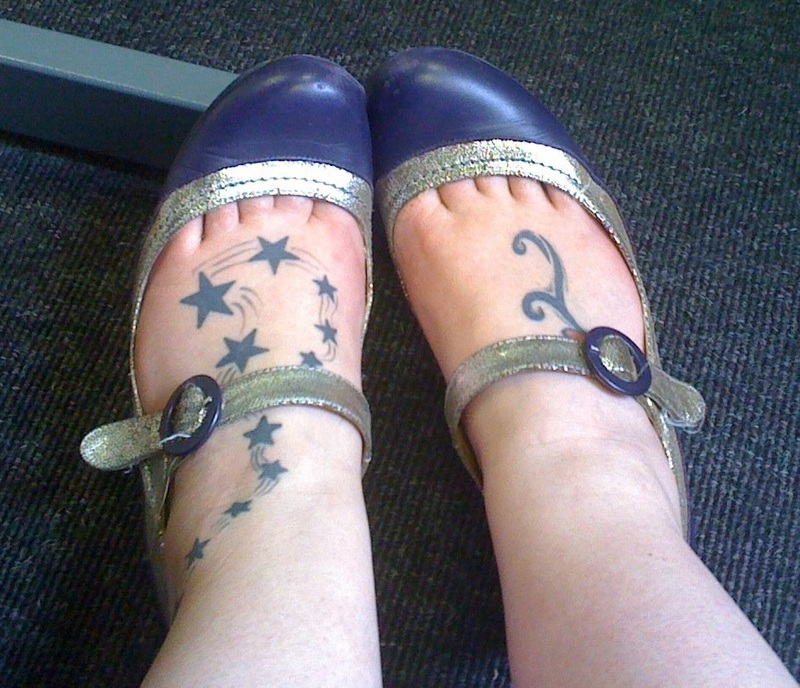 The first 3 tattoos I got were in my early twenties. Sold by a shop that proclaimed that they would only last 3-5 years, I ended up with a few Chinese symbols and a design around my belly button. 15 years later, a little faded but yes, still there. I don't mind them given their placement and lack of visibility, but if I had the option to make them disappear with ease, I probably would. A few years older and hopefully wiser, I was a little more careful with my design choices and placement. My stars on my left foot (see above), a little butterfly on my wrist which reminded me of my confidence transformation; birds in flight on my other wrist to remind me to always move forward; a commemorative symbol on my ankle for my dad and step dad. Then, I made another mistake. Thankfully, hidden behind my hair 99% of the time, so no one normally sees my tattoo mistake. I have thought a few times over the years about laser tattoo removal and for something like that, you want to go to the best. Somewhere that is very professional, recommended and of course, does an incredible job. I came across Pulse Light Clinic London during my research and was impressed with their client recommendations and the effort that they put in to show you the process, and the expected results. Operating since 1991, Pulse Light offer three different tattoo removal lasers - Q-Switch Rev Light, PicoSure and PicoWay. All skin colours and all tattoo colours can be worked and even tattoos that other clinics have tried and failed to remove can be dealt with. I worked out that one of my tattoos to remove, sized at around 2x2 inches would cost around £270.00 which for something that effectively safely removes a tattoo from your body is good value. They also offer interest free credit on all of their packages and also offer a free consultation so that they can assess your tattoo, give you a price estimation and how many sessions you would need. 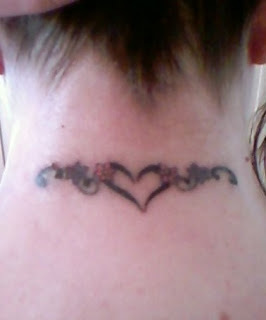 This is something that I will definately be thinking more about doing with 1 or 2 of my unwanted tattoos. Thankfully the unwanted tattoos are hidden from the visible eye when wearing clothes or covered by hair, but you yourself always know that they are there. Do you have any unwanted tattoos?